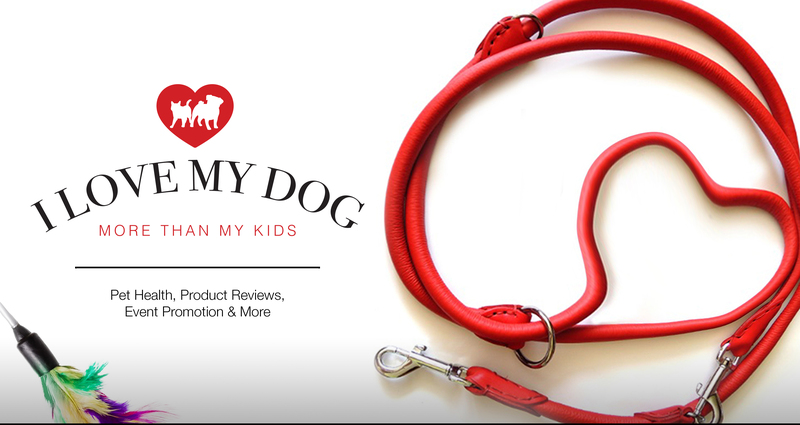 I’m always on the lookout for new, exciting, and useful pet products for my dog, so when I was asked to test out the proudly Canadian, JWalker Dog Harness, I was excited to do so. This is a sponsored post. I only share information on products that I would use for my pets, myself, or believe my readers would find of interest. All opinions are my own and do not necessarily reflect those of JWalker Dog Harness. As a pug parent, I’ve only ever used a harness on my dog Edie. As a puppy she wore a collar, but it was more of a fashion statement, not used for walking her. When taking my pug on walks, the harness was, and always been, my preferred choice. The JWalker Dog Harness is the idea of Jessica O’Neill to humanly help and assist dog owners with dogs that pull on a walks. Now my pug Edie rarely pulls on walks, but occasionally she does get excited when meeting and greeting people she knows. For most dog breeds this would not be an issue, but for pugs and pug owners, we must be careful not to put pressure on their trachea. So I was very interested in seeing how, and if, the JWalker Dog Harness would work for us. I admit, when I first tried the harness on my dog Edie I thought I made a mistake ordering the wrong size (S/M). What was going on, how could the harness be that loose on her? I ordered the harness as per the sizing instructions but how silly did I feel when I realized I had been putting the harness on incorrectly! You’d would think after all these years I would know how to put a harness on my dog! The reason I’m telling you this is if I can make this mistake, others may have the same issue. Once the harness was on Edie (correctly) I was excited, why, is excited too strong a word? I have tried a few harnesses on Edie over the years and they all tend to sit up high under the front of her neck, or rub up in behind her front legs (think her dog pits). This was not the case with the JWalker Dog Harness. The chest plate of the harness sat low enough not to interfere with her throat, and there was no rubbing in behind her front legs. At first Edie was unsure. I believe this was due to 1) the weight of the JWalker Dog Harness and 2) not being used to having the D ring and leash attached at the side of her harness as apposed to the top of her harness. I let Edie walk around the house with the harness on, and after a couple of walks, Edie became more comfortable and accustomed to the change. As mentioned, my dog is not much of a puller when out on walks, however, I did notice a difference with Edie staying more to my side while on a looser leash. Now if she did pull forward, instead of pressure being applied to her neck area, it was coming gently from the side of her shoulder, resulting in her slowing down and turning into me. Our overall opinion and experience with the JWalker Dog Harness was a positive one, and yes, I would recommend it to those with dogs that tend to pull while out on walks. I am very happy to have found a dog harness product that I can use on my pug that did not interfere with her neck/throat area (even though this is not a claim of the JWalker Dog Harness), and she is happy that it doesn’t rub behind her front paws (pits). My only concern, if you can call it that, is that others with small or lightweight dogs may find the weight of the harness a tad heavy, therefore like my dog, it may take them some time getting used to it. Also available to purchase is the JWalker Utility Belt that makes it easy to walk your dog handsfree, and it comes with an all important seatbelt attachment for dogs that like going for car rides! You can learn more here about the JWalker Dog Harness and product lines, and view their instructional videos. I have an older dog who likes to pull quite a bit on walks. I’d like to try this on him. You mentioned that the leash is to one side rather than in the middle of the harness. Is this something that can be changed (moved to the other side) depending on whether you are left-handed or right-handed? The JWalker harness has a D ring on both sides (left and right) of the chest, so you can choose what side you and your dog are most comfortable with. You can choose which side you’d like your dog to walk on. I’m laughing when you said you put the harness on incorrectly at first! I swear I do that every time we have a new harness – why must they all go on differently!? This one looks great on Edie. I have to use a no pull harness for my Husky Icy, if I don’t she pulls me clear across the county! I am a big fan of harnesses for dogs. Collar and leash put too much unnecessary pressure and are very easy to slip. One thing I would like to note with the side pull harness: dogs that are walked only on the left for example, will have unnecessary weight put on their left side causing muscle spasms and imbalance. So take turns walking her from either side to keep her in tip top shape! Thanks for the tip! That’s what I think makes this harness unique, having D rings on both sides so you can choose or switch up what side the leash goes on. This harness sounds pretty functional and comfy. I may need to look into sizing. Bernie absolutely hates harnesses. Even when I adjust and adjust, he walks around like a little hunchback Doodle. Maybe this one will sit differently on him so he’s not so bothered. The JWalker dog harness sat higher up above the shoulders, so maybe Bernie would be more comfortable with it? I think because Edie has worn a harness since she was a puppy, she is more accustomed to it. I’m happy to hear that the J Walker dog harness worked out for Edie! He looks so proud to be sporting his new harness. Thanks for sharing such a thorough and detailed product review. Well Edie is a girl 😉 but she did very well with the JWalker harness. This sounds like it would be a great choice for my Puggle mix, Theo. He pulls like crazy when he is excited. You will have to let me know if you try the JWalker dog harness for your puggle and how he likes it! I like the idea of the side ring and I really like how you desensitized her to it. I do like a harness for the short-nosed dogs. I think it’s important to let our dogs become comfortable with a new harness/collar, or any new item, so they are more acceptable of it, and not frightened. I have never heard of this and always love learning about more options to tell others. I use a Balance harness with my Pug mix and have been quite happy with it. Pugs and pug mixes can definitely be difficult to fit properly! Yes, pugs can definitely be a challenge at times to find proper fitting harnesses and clothing. Let me know how Layla likes it!